Port Douglas Retreat - Port Douglas Retreat offers self-serviced holiday apartments situated in stunning Port Douglas, North Queensland. The Port Douglas retreat contains a range of facilities including a beautiful lagoon-style swimming pool with a rock waterfall and spacious outdoor decking area with barbecues built under a gazebo, surrounded at night by exotic gas flares to create that special ambience. Nearby Attractions : Tours to Daintree River, Cape Tribulation, Daintree National Park, Mossman Gorge, Skyrail Rainforest Cable way, Kuranda Scenic Railway, Kuranda village in the rainforest, Great Barrier Reef, fishing, diving, snorkelling, live-aboard, sailing and coral viewing to the Outer Barrier Reef. Port Douglas Plantation Resort - The apartment accommodation at the Port Douglas Plantation Resort is suitable for couples and family holidays in tropical North Queensland. 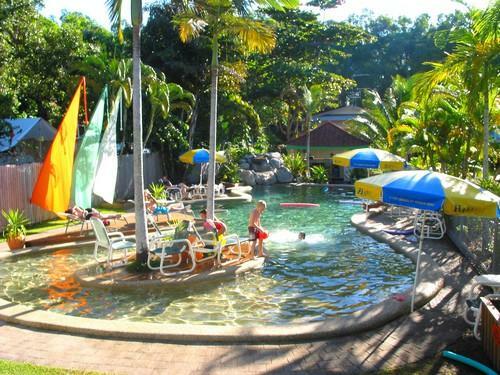 The Port Douglas Plantation Resort provides both holiday makers and families with discount accomodation. 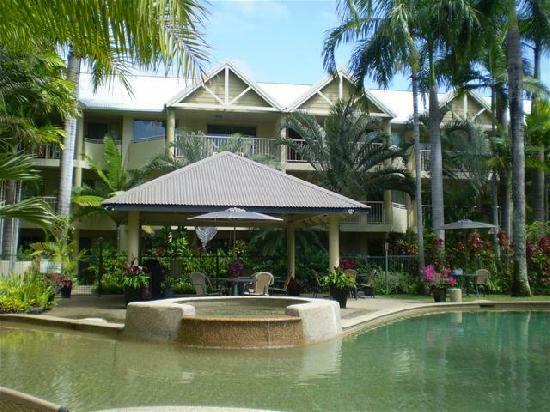 This Port Douglas accommodation features modern amenities and is close to everything that the township has to offer. Port Douglas Plantation resort is a private and spacious oasis comfortably located on the outskirts of Port Douglas, close enough to enjoy all the action yet far enough removed to completely relax and unwind. Nearby Attractions : A short distance to restaurants, cafes, shops, 4 Mile Beach and nightlife entertainment, as well as tours to the Great Barrier Reef and Daintree Rainforest. Rendezvous Reef Resort Port Douglas - Rendezvous Reef Resort, Port Douglas has a range of 1, 2 & 3 bedroom apartment & villa accomodation just minutes from the charming Port Douglas village and Four Mile beach. Great value discount rates are available for longer stays. 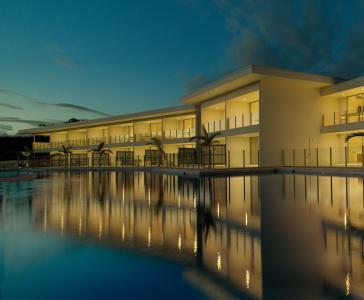 You'll love the new look Rendezvous Reef Resort, a village of villas in the heart of Port Douglas. Nestled in a magical tropical garden setting, it's ideal for those seeking a romantic getaway for two or a fun-filled holiday for the whole family. Nearby Attractions : This resort is in a great location allowing guests to snorkel and dive the Great Barrier Reef and take in a day tour to the Daintree National Park & Cape Tribulation. Enjoy the Kuranda Scenic Railway & Skyrail Cableway, Mossman Gorge and crocodile and bird life spotting tours. Check out the rainforest habitat, enjoy breakfast with the birds, stroll through the Sunday markets or enjoy a coffee in one of our cosmopolitan cafes. 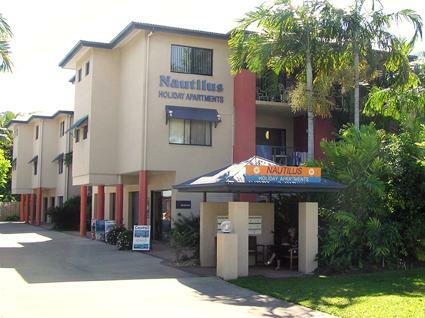 Nautilus Holiday Apartments Port Douglas - The Nautilus Holiday Apartments in Port Douglas offers luxury 2 and 3 bedroom apartment accommodation only 200 metres from beautiful Four Mile Beach. The Nautilus Holiday Apartments provides both holiday makers and families with discount accomodation. 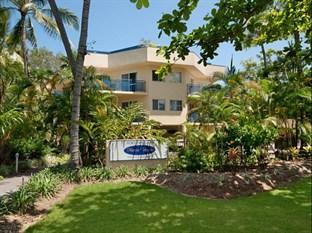 This Port Douglas accommodation features modern amenities and is close to everything that Port Douglas has to offer. The beautifully appointed accommodation at the Nautilus Holiday Apartments Port Douglas consist of large, modern 2 & 3 bedroom apartments, all with 2 bathrooms, full kitchen & laundry facilities, air-conditioning, private balcony, DVD player and Free lock up car parking. Nearby Attractions : The World Heritage Listed Great Barrier Reef is just waiting to be explored as well as the Tropical rainforest and many wonderful deserted beaches are only minutes away by car. 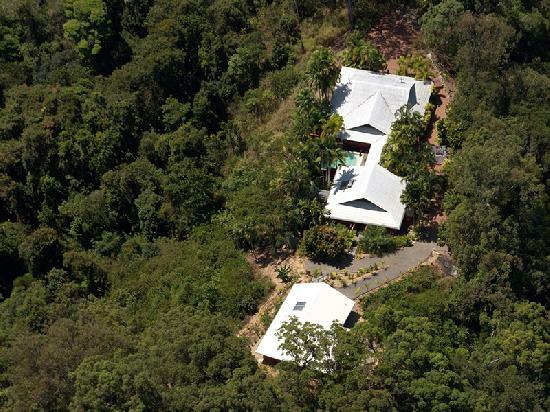 Secluded Port Douglas is just one hours drive away from the city centre of Cairns. 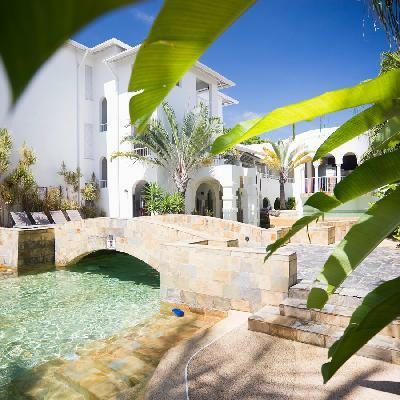 Mantra PortSea - The Mantra PortSea offers luxury hotel accommodation, 1 & 2 bedroom self contained serviced apartments ideally located a short walk to the magnificent golden 4 Mile Beach and the cosmopolitan Macrossan Street. Nestled amongst North Queensland’s tropical rainforests and on the doorstep of the magnificent Great Barrier Reef, the Mantra PortSea Hotel & Apartments Resort is the perfect accommodation solution for a relaxing getaway or carefree family holiday in Port Douglas. Not only is the Mantra PortSea a great place to stay in Port Douglas but it also has lots of great facilities including conference centre, direct internet access, free car parking, guest laundry, gym & fitness equipment, restaurant, outdoor swimming pool, tennis court, tour desk, bbq, 24 hour reception and /day spa. Nearby Attractions : Staying in this central hotel will mean that you are in close proximity to five star restaurants, resorts and designer boutiques, pubs and bars. Guests can head out to the Great Barrier Reef to snorkel and scuba dive among the tropical fish, explore the Daintree Rainforest or take 4WD excursions north to Cape Tribulation visiting beaches such as Cow Bay, Alexandra Bay and Noah Beach. Mantra on the Inlet - Mantra on the Inlet provides luxury resort offering hotel accommodation, 1 & 2 bedroom self contained serviced apartments in the heart of Port Douglas. Ideally situated in the heart of Port Douglas' entertainment, shopping and dining precinct, on the corner of Macrossan and Wharf Streets. The Mantra on the Inlet provides corporate and holiday travellers with an affordable place to stay in a central location. This Port Douglas hotel also comes complete with a range of modern amenities such as direct internet access, free car parking, outdoor swimming pool, tour desk, bbq, massage room and baby cots available. Nearby Attractions : The sailing and diving are superb, the exciting adventure sports are great and the tranquil national parks have to be seen to be believed. Tours to the Great Barrier Reef and World Heritage listed Daintree Rainforest operate daily and the Mantra on the Inlet is just a short walk from famous Four Mile Beach and the marina. World class shopping and dining are located around the hotel, as well as access to championship golf courses. Mantra on the Inlet is also located directly opposite the famous Sunday markets, offering a wide variety of local produce, crafts and collectables. 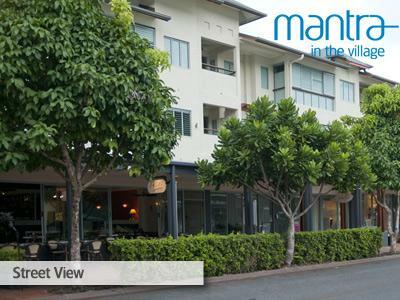 Mantra in the Village - The Mantra in the Village has a range of hotel accommodation, 1 & 2 bedroom self contained serviced apartments located in the cosmopolitan village of Port Douglas. Guests who stay at the Mantra in the Village in Port Douglas will be able to make use of the many guest facilities at the property. These include free car parking, lift, outdoor swimming pool, tour desk, bbq and baby cots available. 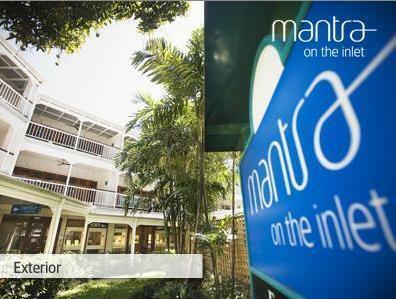 Mantra in the Village Hotel & Apartments Resort Port Douglas offers boutique style accommodation in the heart of Port Douglas, ideal for your next holiday in Far North Queensland. Nearby Attractions : The Mantra in the Village is conveniently located within easy walking distance to tours to the Great Barrier Reef and World Heritage listed Rainfores, the famous Four Mile Beach and the Marina, world class shopping and dining, championship golf courses and the local markets. 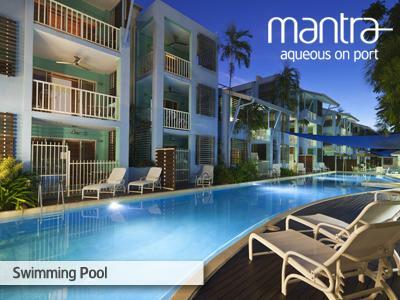 Mantra Aqueous on Port - Mantra Aqueous on Port provides modern hotel rooms, as well as 1 and 2 bedroom self contained serviced apartments located in the exclusive beachside town of Port Douglas. The Mantra Aqueous on Port Hotel & Apartments Resort is ideal for a romanrtic honeymoon, relaxing getaway or family holiday. It provides corporate and holiday travellers with an affordable place to stay in a central location. This Port Douglas hotel also comes complete with a range of modern amenities such as direct internet access, free car parking, lift, spa, outdoor swimming pool, tour desk, bbq and baby cots available. Nearby Attractions : Close by to this Port Douglas hotel is five star restaurants, resorts and designer boutiques competing for the tourist dollar alongside pizza joints and the earthy delights of public bars. Visitors love the Great Barrier Reef as well as exploring the Daintree Rainforest and 4WD excursions north to Cape Tribulation visiting beaches such as Cow Bay, Alexandra Bay and Noah Beach. From the hilltop overlooking the town, the white sands of Four Mile Beach stretch south while to the north the mountains, beyond which lies Cooktown. Marina Terraces - Marina Terraces provides a range of 1 & 2 bedroom self contained serviced apartments centrally located in the heart of Port Douglas. The Marina Terraces Holiday Apartments Resort is a boutique complex perfectly positioned with 250 meters to the beautiful Four Mile Beach and 100 meters to cosmopolitan Macrossan Street. Guests who stay at the Marina Terraces in Port Douglas will be able to make use of the many guest facilities at the property. These include free car parking, outdoor swimming pool, tour desk, bbq, garden and airport shuttle. So why not make the tropical paradise of Port Douglas Australia your next holiday destination. Nearby Attractions : Close by to this Port Douglas hotel is the amazing Great Barrier Reef, Mossman Gorge, Daintree Rainforest and Cape Tribulation. The overwhelming beauty of this region will leave you in awe. A variety of day tours are available from bushwalking, birdwatching, interpretive heritage tours and 4WD safaris. For the more adventurous, there's horse riding, white water rafting, helicopter flights, bungee jumping and hot air ballooning on offer in the area. Pamper yourself with a relaxing massage, facial, or manicure at one of the many spas in town or perhaps you'd prefer to just laze away your day with a good book on beautiful Four Mile Beach. Mantra Heritage - The Mantra Heritage provides hotel accommodation, 1 & 2 bedroom self contained serviced apartments, nestled around saltwater lagoon pools, spas and lush tropical gardens. Mantra Heritage Port Douglas Hotel & Apartments Resort epitomises the laid back Port Douglas lifestyle making it the perfect place for a tropical family holiday or couple’s romantic getaway. Not only is the Mantra Heritage a great place to stay in Port Douglas but it also has lots of great facilities including direct internet access, free car parking, lift, outdoor swimming pool, tour desk, bbq and baby cots available. Nearby Attractions : Close by to this Port Douglas hotel are tours to the Great Barrier Reef and World Heritage listed Daintree Rainforest operate daily, famous Four Mile Beach and the marina, world class shopping and dining and championship golf courses. Lychee Tree Holiday Apartments Port Douglas - The Lychee Tree Holiday Apartments in Port Douglas offers 1 and 2 bedroom apartment accommodation within walking distance to beautiful Four Mile Beach. The Lychee Tree Holiday Apartments has a number of guests facilities and services including Child Minding, Disabled Facilities, Free Car Parking, Guest Laundry, Outdoor Swimming Pool, Tour Desk, BBQ and Garden which will make you feel right at home the next time that you stay. Offering 1 & 2 Bedroom Fully self contained Apartments, the Lychee Tree has something for everyone looking for quality accommodation which does not break the budget. Nearby Attractions : Lychee Tree is walking distance to beautiful Four Mile Beach for swimming, fishing, relaxing. There are two world championship golf courses to test your skills on or breakfast with the birds at the Rainforest Habitat. Lychee Tree is walking distance to Macrossan Street with its boutique shopping, art galleries, sidewalk bistros and restaurants serving stunning tropical foods. Daintree Rainforest, the Magnificent Great Barrier Reef, Spectacular Four Mile Beach, Amazing Restaurants & Shopping. Oaks Lagoons Port Douglas - The luxury family holiday apartment accommodation at the Oaks Lagoons Resort Port Douglas consists of discount studio, 1 and 2 bedroom self contained apartments. There are also numerous restaurants, bars and bistros close to the Oaks Lagoons Resort, as well as the spa and beauty facilities at the adjacent Tree Tops Resort. Located just a short 3 minute stroll to Four Mile Beach and the action of fishing, sailing and kite surfing, the new Oaks Lagoons Port Douglas offers a relaxed getaway. Nearby Attractions : Snorkelling out at one of our many beautiful reef sites in Port Douglas, Cape Tribulation, Mossman Gorge and over 100 tours are available. Port Douglas Sands Resort - The 1 and 3 bedroom apartment accommodation at the Port Douglas Sands Resort is the ideal family holiday destination for your next trip to the Cairns Northern Beaches of Queensland. The Port Douglas Sands Resort provides holiday makers with discount accomodation featuring modern amenities and close to everything that Port Douglas has to offer. The Port Douglas Sands Resort is a resort which consists of a range of self contained accommodation apartments for your choosing. Nearby Attractions : Great Barrier Reef trips, 4 mile beach, Daintree Rainforest tours, Kuranda, Skyrail, Wildlife Parks, Fishing, Sailing and many other exciting adventure filled activities in the region. 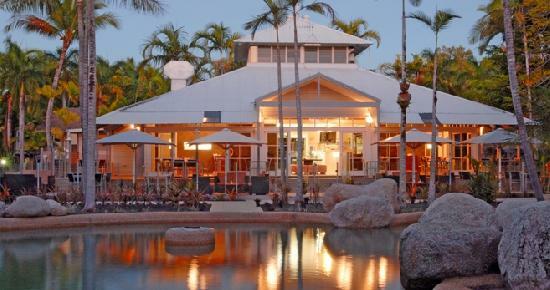 Also some of the best restaurants and cafes are located in Port Douglas. 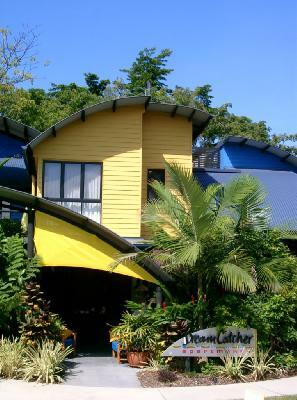 Dreamcatcher Apartments Port Douglas - The beautiful Dreamcatcher Holiday Apartments in Port Douglas are beachside with traditional Aboriginal decor and all the modern conveniences and amenities you expect. The Dreamcatcher Apartments has a number of guests facilities and services including Bar, Business Centre, Direct Internet Access, Faxing Facilities, Free Car Parking, Guest Laundry, Massage, Spa, Outdoor Swimming Pool, Tour Desk, BBQ, Garden, Airport Shuttle and Security which will make you feel right at home the next time that you stay. Dreams of relaxed, sun-drenched beachside sojourns become a reality at the informal DreamCatcher Apartments. Nearby Attractions : Visit the world's oldest rainforest the Daintree Rainforest, which is located in the Wet Tropics World Heritage Area. Great Barrier Reef, Arguably Mother Nature's greatest marvel lies on Port Douglas' doorstep. A wide range of vessels make daily trips to the reef, allowing guests to snorkel, swim, sail or just view the delights through a glass bottom boat. Four Mile Beach at Port Douglas is renowned for its tranquil beauty but Tropical North Queensland also boast many other diverse beaches. Skyrail Cable Cars and Scenic Rail from Cairns to the village of Kuranda. Regal Port Douglas - The Regal Port Douglas, Port Douglas Hotel & Apartments, Far North Queensland - 4 star Studio and 1Bedroom luxury resort accomodation in the heart of Macrossan St now available on Not1Night.com.au. This wonderful 4 star Port Douglas Resort offers a variety of accommodation options including luxurious self-contained studios and 1 bedroom apartments with king size beds, spa baths and /or a large private Jacuzzi on the balcony, as well as the ultimate 1 bedroom spa penthouse apartments featuring a large private outdoor area with private barbecue and furnished entertaining area with shade sails. Excellent location in the heart of Port Port Douglas, right in the heart of the restaurant strip, on Macrossan Street. Nearby Attractions : Four Mile Beach, restaurants, shops, Marina Mirage, all tour bookings from Reception, Sunday Foreshore Markets. By the Sea Port Douglas - Archipelago Studio Apartments, Port Douglas, Far North Queensland - 3.5 star quality studio apartment accommodation superbly located next to Four Mile Beach in the heart of Port Douglas. The By the Sea Port Douglas has a number of guests facilities and services which will make you feel right at home the next time that you stay in this tropical North Queensland holiday destination. Have the convenience of being in the town centre but the tranquility of staying right by the sea. By the Sea Port Douglas is a very relaxing and friendly tropical resort right by the sea and in the most perfect of locations. Nearby Attractions : There is lots of different things to see and do when you stay at the By the Sea Port Douglas holiday apartments. The Meridian at Port Douglas - The Meridian at Port Douglas, Far North Queensland provides luxury studio and 1 bedroom fully self contained accomodation in the heart of Port Douglas, close to the Marina Mirage, the 4 mile beach and Macrossan St. 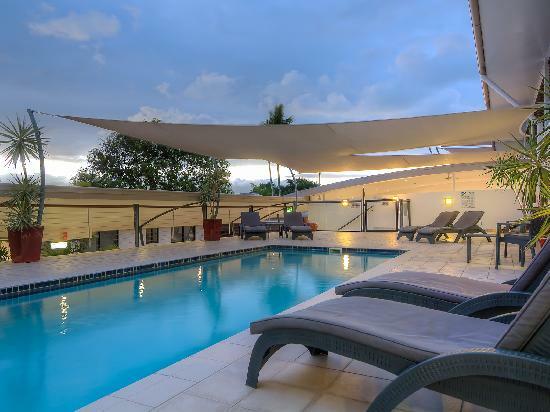 The Meridian Port Douglas is a boutique contempary resort offering luxury accommodation in a selection of studios and 1 bedroom apartments that will suit the discerning holiday makers or couple on a romantic getaway. Nearby Attractions : With pristine wilderness, total tranquillity, superb golf courses and a wealth of activities including the magnificent underwater world of the Great Barrier Reef, this is a magnetic destination for travellers of all ages and all walks of life. Port Douglas is just an hour's drive from Cairns and features great shopping, award winning restaurants and superb galleries and craft stores. Port Douglas has been a popular departure point for day and extended trips to the Great Barrier Reef and is also the starting point for 4WD safari tours to the Daintree and Cape Tribulation National Parks and Mossman Gorge. Mai Tai Resort Port Douglas - Mai Tai Resort Port Douglas in Far North Queensland offers the choice of luxury hotel and self contained villa accomodation with spectacular views, complete privacy and close to the Great Barrier Reef and Daintree Rainforest. The Mai Tai Resort provides both holiday makers and business travellers with discount accomodation. 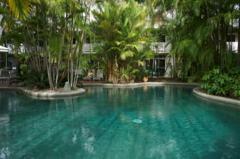 This Port Douglas accommodation features modern amenities and is close to everything that the city has to offer. Mai Tai was proudly voted "Best Hidden Gem" in Port Douglas for 2006 & 2008 by Tripadvisor Travellers Choice & ranks in the top 10 of best places to stay in South Pacific. Nearby Attractions : All the attractions that are available in far North Queensland are available from Mai Tai Resort, including accessing the Reef, Rainforest and Outback Safaris, Hot Air Ballooning, White Water Rafting, Golf, Fishing, Scuba Diving, Horseback Riding, Skyrail, Hartley's Crocodile Adventures, Kuranda, Tjapukai Aboriginal Cultural Centre, Birdwatching and much more. Rydges Sabaya Port Douglas - Rydges Sabaya Port Douglas is a 4 star luxury hotel & apartment accomodation that is close to Port Douglas Village & Four Mile Beach. The Rydges Sabaya Port Douglas has a number of guests facilities and services including Lounge Bar, Business Centre, Child Minding, Conference Centre, Currency Exchange Services, Direct Internet Access, Disabled Facilities, Faxing Facilities, Free Car Parking, Guest Laundry, Gym, Massage, Restaurant, Room Service, Secretarial Services, Spa, Outdoor Swimming Pool, Tennis Court, Tour Desk, Garden, Airport Shuttle, 24 Hour Reception, Babysitting Service and Day Spa which will make you feel right at home the next time that you stay. 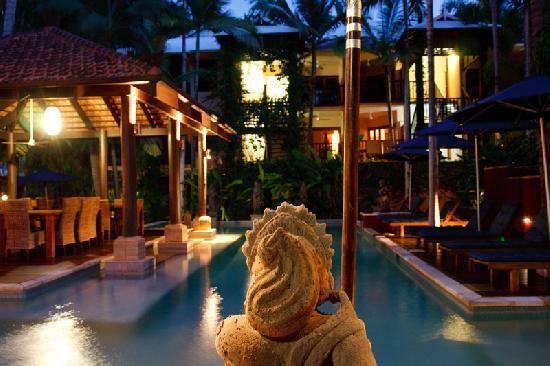 Rydges Sabaya Resort Port Douglas is nestled by the rainforest and only moments to the ocean. 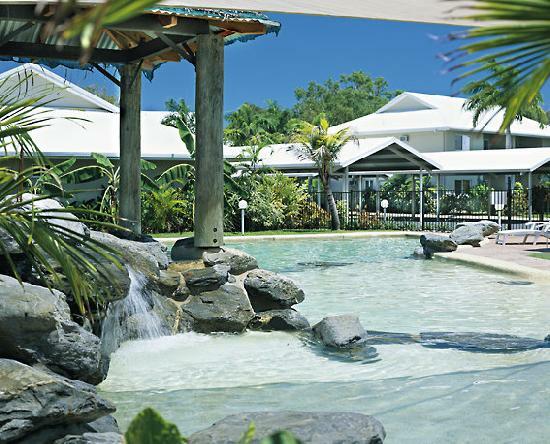 Nearby Attractions : Rydges Sabaya Resort Port Douglas is the perfect base to experience tropical Queensland. You can snorkel and dive trips to the Great Barrier Reef, visit award winning Wildlife Parks, go on day tours to World Heritage Daintree National Park and Cape Tribulation, play a round of golf at one of the regions World class Golf Courses or enjoy horseriding, estuary, reef or game Fishing. 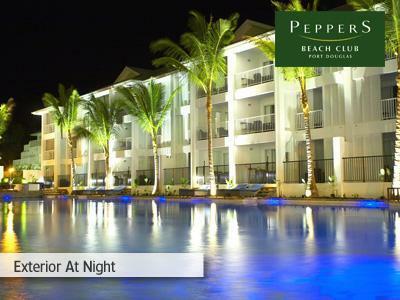 Peppers Beach Club Port Douglas - Peppers Beach Club in Port Douglas is a luxury 5 star resort accomodation situated close to Macrossan St & the Four Mile Beach. It is the perfect holiday destination to explore Mossman Gorge, the Great Barrier Reef, the Daintree & Cape Tribulation. 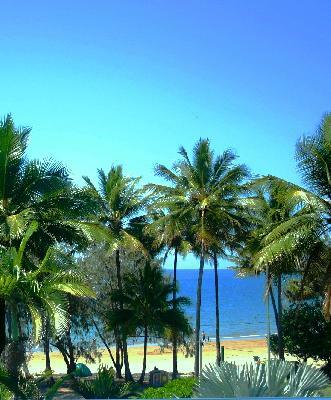 Peppers Beach Club in Port Douglas is one of Tropical North Queensland's most desired holiday destinations. Its casual sophistication, easy access to the Great Barrier Reef, the Daintree Rainforest and many attractions including the famed Four Mile Beach, make it a pleasurable holiday getaway. Nearby Attractions : Port Douglas offers an abundance of exciting activities in either the rainforest or the reef. Experience the Flames of the Forest live stage and dinner experience, welcome the day with a hot air balloon adventure, explore the Daintree World Heritage listed National Park by 4WD and take a helicopter ride out over the Great Barrier Reef. Crocodile farms, Skyrail and white water rafting are just some of the many adventures on offer. Coconut Grove Port Douglas - The Coconut Grove in Port Douglas provides 5 star 1, 2 & 3 bedroom self contained apartments & penthouses. 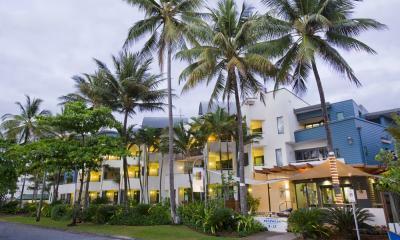 The Coconut Grove Port Douglas provides both holiday makers and business travellers with discount accomodation. This Port Douglas accommodation features modern amenities and is close to everything that the city has to offer. A heavenly retreat awaits at Coconut Grove Apartments Port Douglas - tropical north Queensland’s newest, most impressive and luxurious Port Douglas accommodation. Nearby Attractions : Cosmopolitan Macrossan Street with a myriad of shops, day spas and restaurants and close by. The property also provides easy access to the Great Barrier Reef, Daintree Rainforest and the world Famous Four Mile Beach. Port Douglas is a stepping off point for tours to the Great Barrier Reef, private fishing charters and 4-Wheel Drive adventures through rainforest and beyond to Cape Tribulation, the rolling hills of Atherton Tablelands and the red dust of the outback. For guests who stay over the weekend, a visit to the famous Port Douglas markets on Sunday morning is a must. Reef Club Resort Port Douglas - Reef Club Resort Port Douglas provides budget 1 & 2 bedroom apartments close to beach, Macrossan St, Great Barrier Reef, & Daintree Rainforest. The Reef Club Resort Port Douglas has a number of guests facilities and services including Direct Internet Access, Free Car Parking, Guest Laundry, Spa, Outdoor Swimming Pool, Tour Desk, BBQ and Cots Available available for families which will make you feel right at home the next time that you stay. The Reef Club Resort Port Douglas is the perfect base to explore the nearby Great Barrier Reef and Daintree Rainforest. Nearby Attractions : White water rafting, Tully River, Kuranda Scenic railway, Skyrail Rainforest Cableway, Batwing lava tube, Undara, Kuku Yalanji Dreamtime, Mossman Gorge, Mamu Canopy Walkway, Barramundi fishing, Lake Tinaro, Waterfalls circuit, Atherton Tableland, Daintree rainforest, Tully Golden Gumboot Festival, Great Barrier Reef, Snorkel and scuba dive among the tropical fish, 4WD excursions north to Cape Tribulation visiting beaches such as Cow Bay, Alexandra Bay and Noah Beach. Saltwater Luxury Apartments Port Douglas - The Saltwater Luxury Apartments in Port Douglas have a choice of 2 & 3 bedroom self contained apartments & penthouses close Great Barrier Reef, Cape Tribulation. The Saltwater Luxury Apartments are ideally nestled in the heart of Port Douglas, just a few minutes walk from Port Douglas breathtaking Four Mile Beach and only a gentle stroll to the renowned restaurants and chic boutiques of Port Douglas Village and the fabulous Marina Mirage. Nearby Attractions : From your Saltwater vantage point you are only a few minutes walk from breathtaking Four Mile Beach and only a gentle stroll to the renowned restaurants, bars and chic boutiques of Port Douglas and Marina Mirage. Also Macrossan Street is lined with boutique shops and restaurants and there are traditional pubs, Four Mile Beach, the jetty and markets at the weekend selling locally made crafts including beautiful wooden bowls. Marina Mirage Port Douglas is the base for sailing and cruising as well as shopping. There are fabulous day spas for those looking for a health & well-being holiday experience. 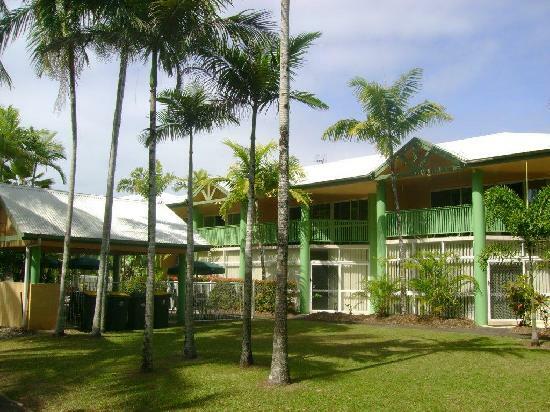 A Tropical Nite Holiday Townhouses Port Douglas - A Tropical Nite Holiday Townhouses provides luxury 1, 2 & 3 self contained apartments near the 4 Mile Beach, Marina Mirage, Macrossan St, Great Barrier Reef, Daintree, Cape Tribulation. 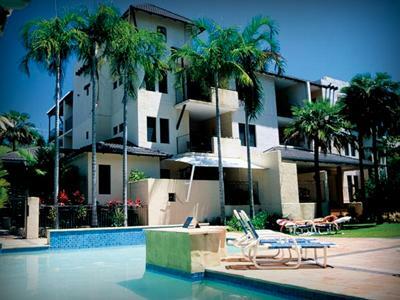 The A Tropical Nite Holiday Townhouses provides both holiday makers and business travellers with discount accomodation. This Port Douglas accommodation features modern amenities and is close to everything that the city has to offer. A Tropical Nite Holiday Townhouses offers luxury fully self-contained holiday townhouse apartments, nestled around a free form swimming pool with BBQ and entertainment area and all within walking distance of all the Port Douglas attractions. Nearby Attractions : A Tropical Nite is just a short distance from famous 4 Mile Beach, Championship Golf courses and the village centre of Port Douglas with its first class restaurants, shopping as well as the fabulous Marina Mirage with its boardwalk restaurants and designer boutiques. Tropical Nites is close to the natural wonders of the Great Barrier Reef with just an hours boat ride from the marina and right on the doorstep of the World Heritage Rainforests of the Daintree and Cape Tribulation. Kuranda and the Atherton Tablelands are within an hours travel. 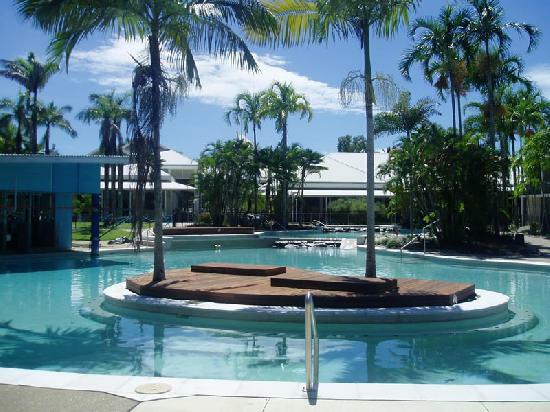 Hibiscus Resort and Spa Port Douglas - The Hibiscus Resort and Spa in Far North Queensland has a range of quality studio, 1 & 2 bedroom self contained serviced apartments providing discount beach holiday resort accommodation close Great Barrier Reef. 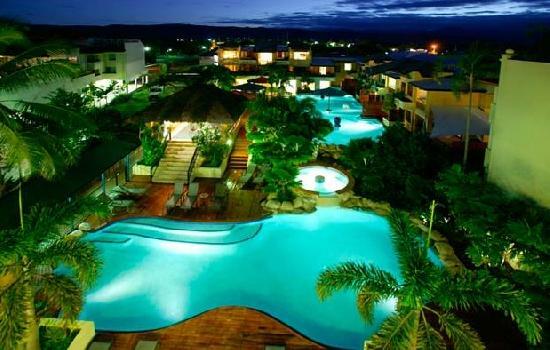 The Hibiscus Resort and Spa provides both holiday makers and business travellers with discount accomodation. This Port Douglas accommodation features modern amenities and is close to everything that the city has to offer as well as being a sanctuary from the everyday. Nearby Attractions : The Great Barrier Reef, Daintree Rainforest, Four Mile Beach, Port Douglas Meridien Marina, scuba diving & snorkelling, sailing, fishing, kite surfing, Mossman Gorge, Daintree River, The Bloomfield Track, Kuku Yulanji Indigenous Tours, Helicopter tours, Jungle surfing, Sea Kayaking, Golf and Tennis. 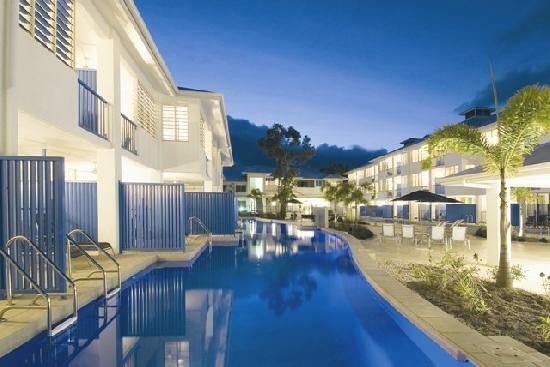 Pool Port Douglas - Pool Port Douglas Resort Apartments - luxury 1, 2 & 3 bedroom self contained serviced apartments close Macrossan St, Great Barrier Reef, Cape Tribulation. The Pool Port Douglas is the ultimate escapism and provides guests with a great place to stay in the heart of this Far North Queensland holiday destination. Nearby Attractions : Port Douglas has world class golf courses, radiant sandy beaches, tantalizing restaurants, pumping nightlife and premium shopping. Guests can spend the day laying in the sands of Four Mile Beach, Golf lovers can play at two of Australia’s best 18-hole golf courses, Port Douglas's portfolio of restaurants include worldwide cuisines, fancy fine dining and casual and funky eateries, spend the day snorkeling and scuba diving on the waters of The Great Barrier Reef or spend a tranquil day being pampered at a radiant Day Spa. Port Douglas Peninsula Boutique Hotel - The Port Douglas Peninsula Boutique Hotel has a number of guests facilities and services including Bar / Lounge, Direct Internet Access, Free Car Parking, Guest Laundry, Lift, Restaurant, Room Service, Spa and Tour Desk which will make you feel right at home the next time that you stay. 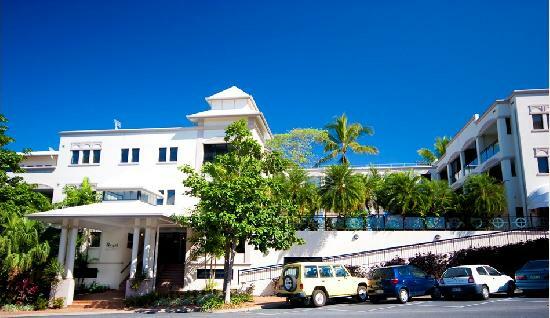 The Port Douglas Peninsula Boutique Hotel is ideally located on the Esplanade in Port Douglas, overlooking the famous Four Mile Beach and just a short stroll to the shops and restaurants in Macrossan Street. Nearby Attractions : Guests can dive, snorkel or sail the Great Barrier Reef and surrounding Islands or explore Cape Tribulation, Daintree rainforest, Mossman Gorge, Kuranda Village or Atherton Tablelands on a day tour. There are also plenty of activities available such as rafting, skydiving, ballooning and numerous watersports. Maybe you would prefer a relaxing treatment at one of the many day spas available in Port Douglas or a bit of retail therapy.